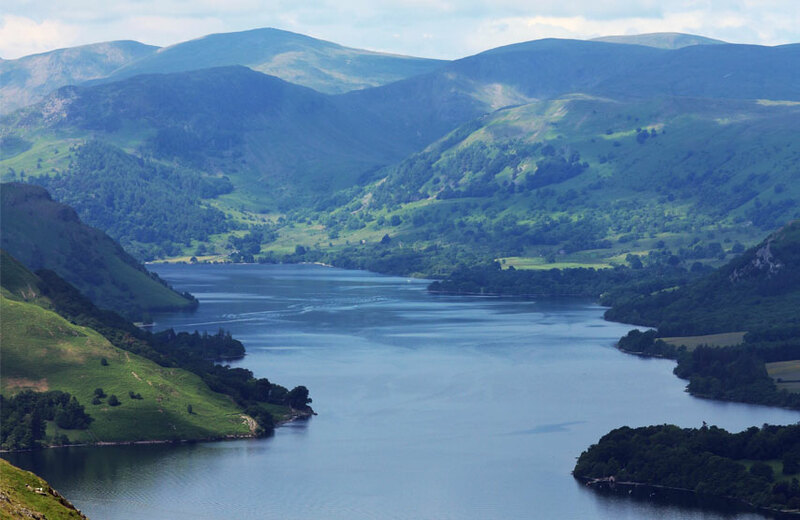 Another Place, The Lake is an ideal base for a walking holiday in the Lake District. 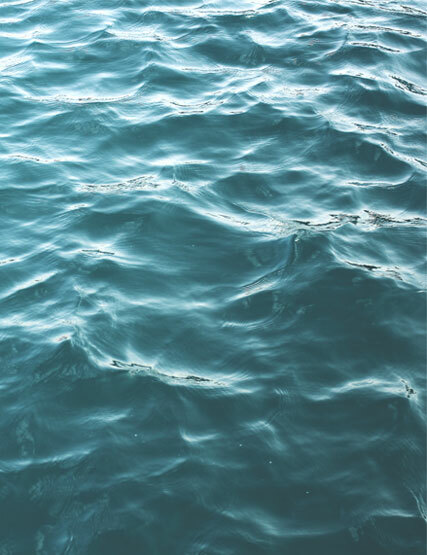 Book to stay with us and explore the surrounding area on foot. 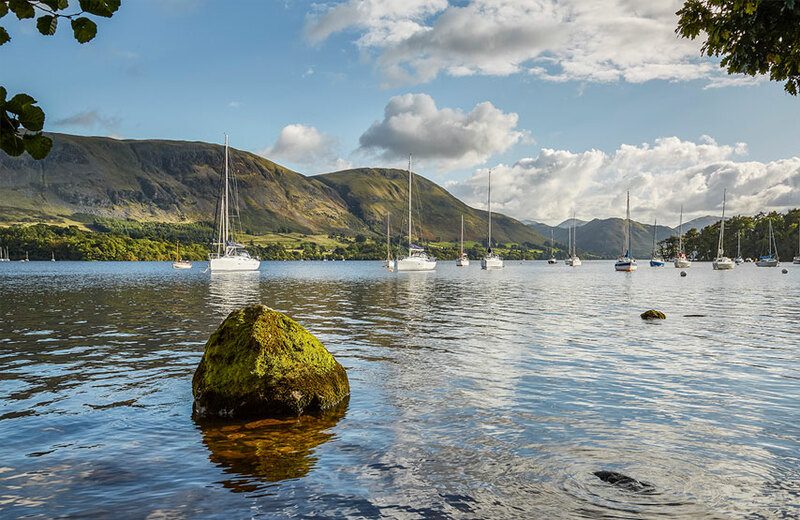 The Ullswater Way is a 20-mile long walking route which circumnavigates the lake using existing public rights of way and quiet roads. 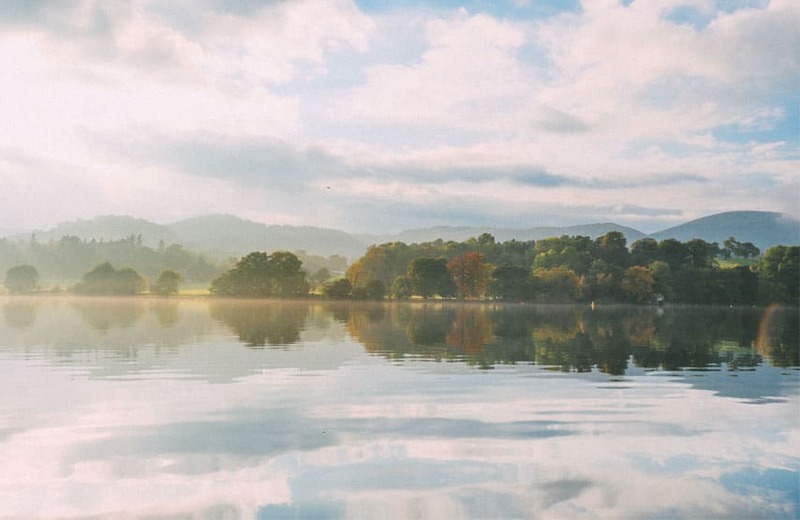 Less than a five minute drive from Another Place, Pooley Bridge is the recommended starting point when you stay with us. 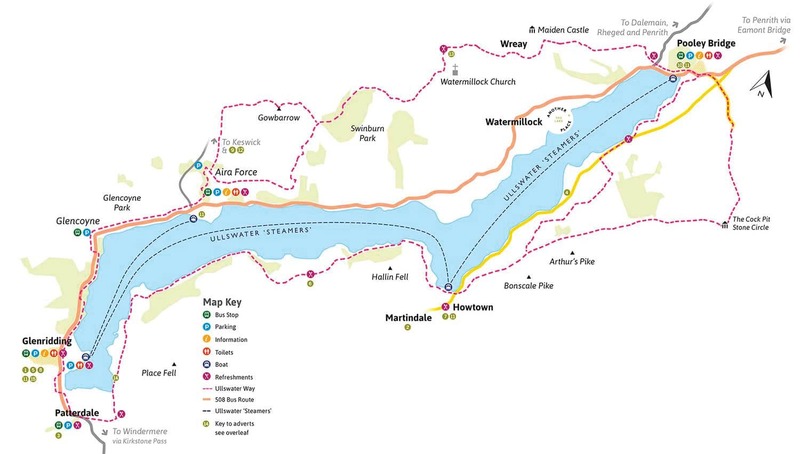 The Ullswater Way can be walked in either direction and from any starting point. 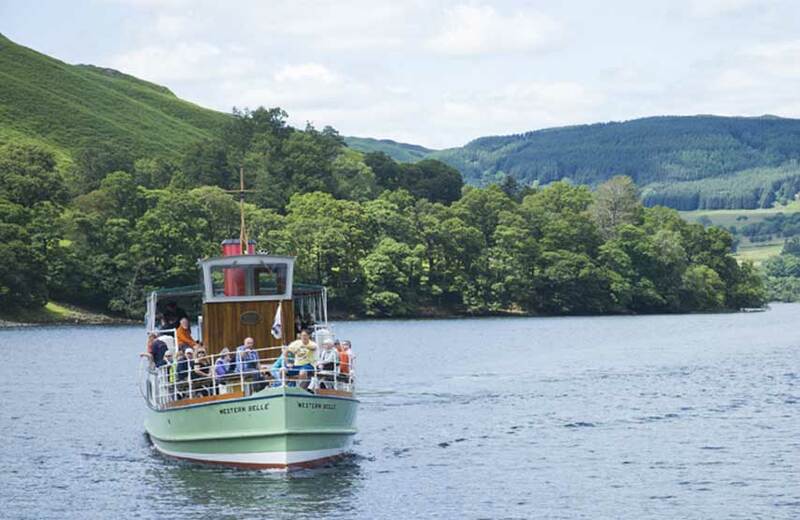 It’s possible to walk the route in shorter sections, using an open top bus or the Ullswater Steamers to connect your adventure. 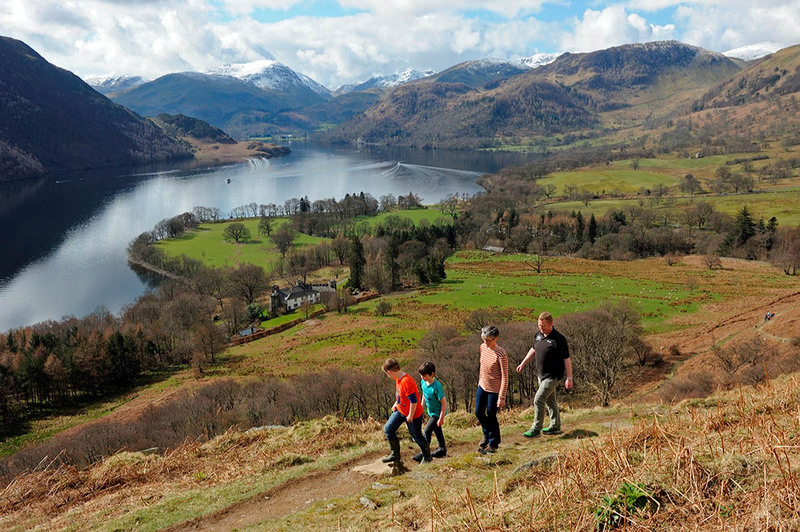 The creation of a promoted circular route around Ullswater has long been an ambition of our community, enabling walkers to experience the iconic views over Ullswater on foot. 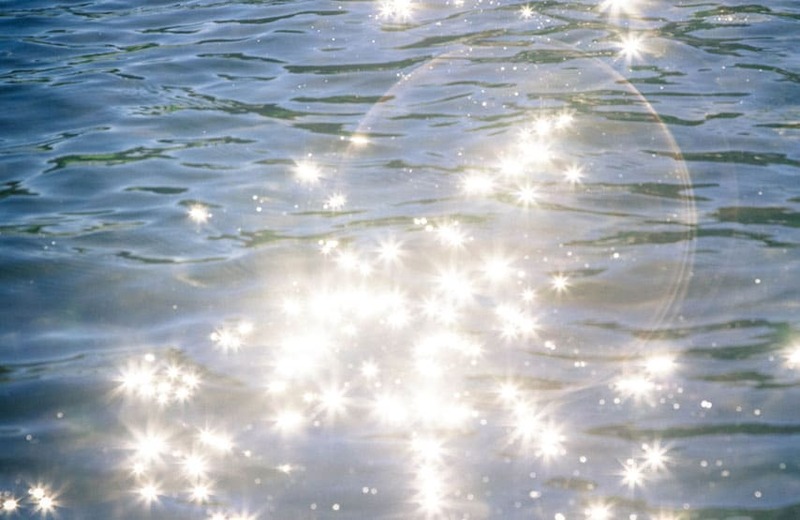 The partnership project was put into action between local people and the Lake District National Park Authority, the National Trust, the Ullswater Association, Eden District Council, Ullswater Steamers, and See More Cumbria. The map is not to scale. 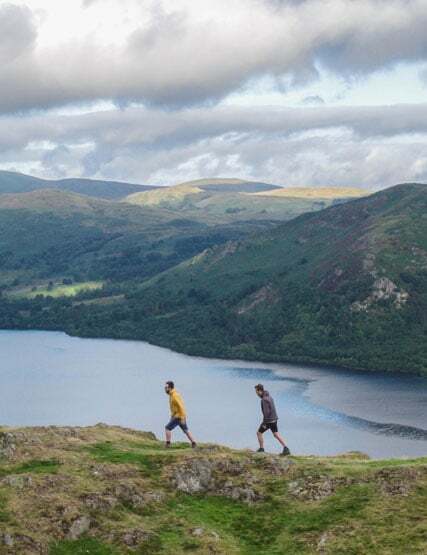 The route is well waymarked with The Ullswater Way logos, but we do recommend taking a detailed map with you as well so you can confidently explore the Ullswater Valley. 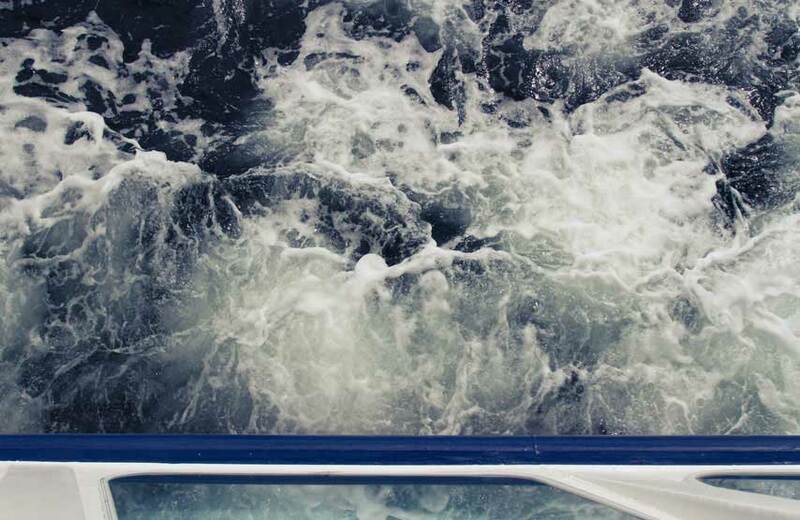 Please remember that the weather can sometimes be a little unpredictable and fast-changing – appropriate clothing and footwear are essential.